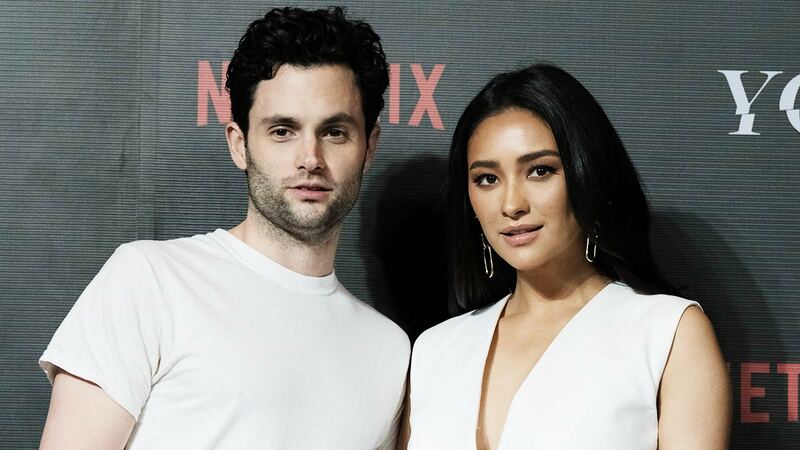 Shay Mitchell And Penn Badgley Are In Manila! Pretty Little Liars star Shay Mitchell arrived in Manila on January 13 to promote the Netflix series, You. Joining Shay is co-star Penn Badgley. Shay and Penn will have a fan event on January 15, Tuesday, at a pop-up “Mooney’s Bookstore” at The Greenbelt Gallery in Greenbelt 5 in Makati City at 5:30 p.m.
You is a psychological thriller that tells the story of Joe Goldberg (Penn) who falls in love with a customer named Guinevere Beck (Elizabeth Lail). Joe ends up stalking Guinevere online and in real life as his crush quickly turns into obsession. Shay plays Peach Salinger, Guinevere’s best friend. The series is based on a book with the same name released in 2014 by author Caroline Kepner. The series is currently streaming on Netflix.